From museums to beaches, Thrissur is a traveller's delight. Kerala is a gorgeous state, replete with sweeping landscapes and stunning vistas. Among the many cities that deserve a visit in the state, Thrissur – the Cultural Capital of Kerala ranks at the top. Built around a 65-acre hillock, Thrissur is home to many temples, masjids, learning and cultural centres and churches. Though what you must truly watch out for are the beaches, museums and waterfalls. The climate of Thrissur is pleasant all round the year; though there’s heavy rainfall between May and October. Here’s a list of places you must visit when in Thrissur. 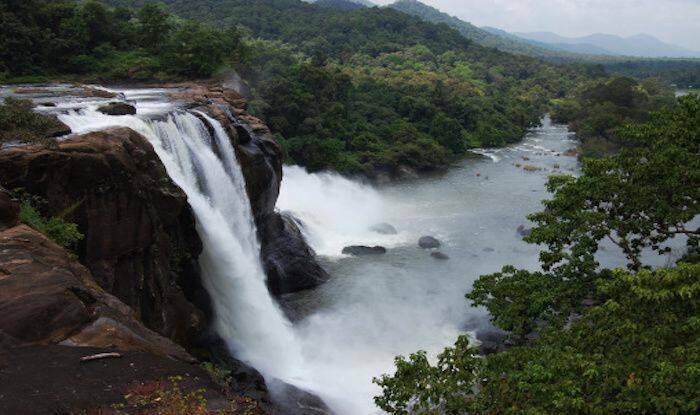 Located 60km from the city, Athirappilly Falls is the most famous attraction in Thrissur. The 80 feet high and 330 feet wide waterfall are also lovingly known as the Niagara Falls of India. If you’re looking for a blissful escape, this is the place for you. Maintained by Kerala Department of Tourism, Snehatheeram Beach is located off the Arabian Sea and is one of the most well-maintained beaches in Kerala. The beach is close to a children’s park that houses a marine aquarium and wide-swept gardens. You must enjoy the local delicacies in the eateries near the beach for an authentic experience. Established in 1938, the Archaeological Museum started as a humble picture gallery by the Government of Cochin and was later converted to a newer building as a museum. You will find statues of prominent personalities along with several archeological antiquities that date back to the Stone Age in this museum. Last but not the least, Chettuva Backwater located in the Chettuva Village is considered a state heritage. The backwaters are fringed with mangroves, sandy shores and a dilapidated fort that was built in 1714 by the Dutch East India Company. A boat ride along these backwaters will leave you with memories that you will cherish for a lifetime.